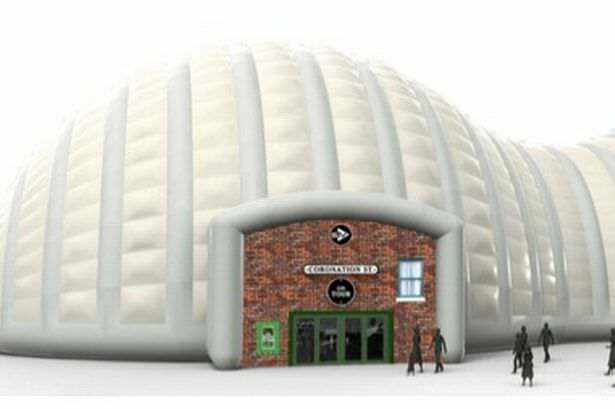 A planning application (LA04/2016/1482/F) submitted by Continuum (Entertainment) Ltd in July 2016 proposes a temporary inflatable exhibition structure on a vacant site located between Belfast MET and Cast & Crew at Queen’s Road, Titanic Quarter. The application was approved in June 2017. The structure is proposed to host ‘Coronation Street On Tour’; a visitor attraction featuring replica sets and preserved memorabilia from the long running tv show.